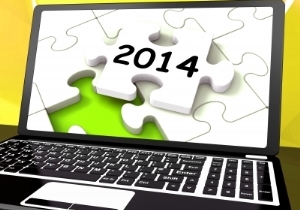 In this third of a three part series – Digital Currency and some changes for 2014! WEB Access Code (WAC) – This is a personalized code that Canada Revenue Agency (CRA) used to mail to you so that could access certain secure parts of CRA’s Internet filing Web pages. You will no longer receive this code, and will be required to use the code supplied to you last year. If you have forgotten that code, and I imagine the majority of us have this year, you can access the code provided by either calling 1-877-322-7849 or going on line at https://apps.cra-arc.gc.ca/ebci/leb0/wacretrieve/pub/entry-e.do . You will be required to provide three types of information: an account number, the type of return, and a financial field relating to the last original previous return. Employer Health Tax – Ontario In the recent Ontario budget, it was proposed, effective January 1, 2014, to increase the amount of the annual payroll that is exempt from tax from $400,000 to $450,000, and then to further index this amount for inflation, with adjustments being made every 5 years using the Ontario Consumer Price Index. However, for those private sector employers with annual Ontario payrolls in excess of $5,000,000 the exemption is eliminated. For businesses paying EHT in installments, the amounts should be adjusted to accommodate the higher exemption. Digital Currency and payroll - Watch out! Digital currency is virtual currency that can be used to buy and sell goods and services on the internet. Bitcoins is a name rapidly gaining recognition. Be very careful when working with digital currency, and make sure that the transactions that would ordinarily be subject to taxation are treated just as if real currency was used. The rules for barter transactions established by CRA apply.